The ability to make effective, fact-based decisions is not based on how much data you have. In fact, most organizations are awash in too much data. Consequently, organizations that can discover meaningful and predictive insights from all the data they capture are the ones most likely to succeed. 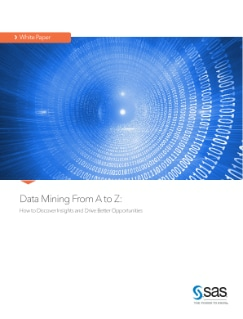 This paper shows how you can use predictive analytics and data mining to reveal new insights from your data and achieve competitive advantage.